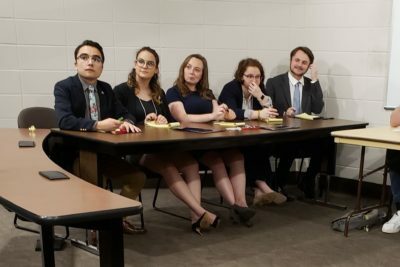 The University of Lynchburg Ethics Bowl team earned a spot in the National Bioethics Bowl semifinals in Mobile, Alabama, earlier this month. The team went undefeated in all preliminary rounds, beating schools such as Bowling Green State University and Georgetown University. In the semifinal round, they lost by only four points to the University of Alabama-Birmingham. “Their dedication to their team and this institution is truly exceptional,” said Dr. Laura Kicklighter, the faculty sponsor to the team. The Ethics Bowl team prepared for the competition by practicing for at least five to six hours a week, all of which was extracurricular and on the student’s own time. In January, they were given 15 cases that would be used in the competition. Topics included limb dysphoria, germline editing, end-of-life decisions, and genetic property rights. To strengthen their arguments, members had to do outside research and learn in-depth about each topic. They studied the cases, discussed the ethics involved, and worked on the presentations about them. Some of the cases were particularly challenging, but the students credited their advisor for helping them focus and do well. “With Dr. Kicklighter’s guidance and expertise, she made sense of it all and helped our team get so far in the competition,” King said. “It can be really intimidating for me to try and keep up with all of these concepts, but Dr. Kicklighter makes it seem so easy. 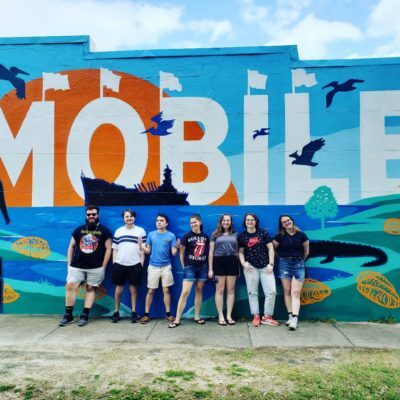 On the way to Mobile, the team made many great memories on the 12-hour drive. They talked about their favorite cases, made jokes, and had a fun time being all together. After the competition, the team spent a few hours enjoying the beach together. “We’re all in this purely because we love it and want to be doing it, so it’s nice to get all of us together excited for an event,” said King. In addition to King, the University of Lynchburg Ethics Bowl Team includes Cecilia Roseo, co-captain, Nicole Freewalt, Bea Kelly-Russo, Seiya Nomura, Jack Schroeder, and Richard Brewster.